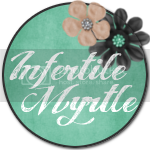 The Infertility Overachievers: More Suppression. Ugh! So this morning was my baseline blood work and ultrasound. I supposed to start stims today. Heck I even wrote a whole post about it. Before I hit the publish button, I decided to wait on that little phone call from the Dr telling me how much medicine to take. Well I'm glad I did. Apparently "My levels are not where the Dr wants them to be so she is going to suppress me for one more day" WHAT?!?! When I asked for specifics like, "What level are you talking about?" and "Why do you think that is?" I got a big, "Don't worry about it, everything should be fine in the morning" Sure! UGH!!!!!!!! So today is not going to be the super exciting day I had hoped for. Sure it's Super Bowl Sunday, but I was hoping to celebrate the kick off by stabbing myself with 3 shots in the belly. NO SUCH LUCK! I know, I know, it's only one day. But for those of you who have never met me in real life, I am not a patient person. Oh and another fun fact, I came down with the flu a few days ago. I'm finally better (just in time to start stims for more suppression) but now the hubs has it. I'll bet you anything that London gets it just in time for egg retrieval. That is just the way my luck works these days. Anyway, I'll stop complaining. Tomorrow I have the pleasure of heading back to the Dr at 7:45AM. FUN FUN! P.S. 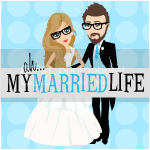 How freaking cute is my new blog design? More on that tomorrow. I love your new blog design!! Sorry you have to wait another day! Your new blog design is pretty awesome! The specimen cups had me laughing my head off! I love the new blog design! Did you do it yourself? Sorry about the suppression, I hate when they don't give you every little detail too! Loving your new blog design! So they didn't tell you which levels and what they were looking for? That would drive me nuts! Hope tomorrow's labs give you the green light! It might only be one day, but it is frustrating when you are so anxious to get this party started! Especially after you have been waiting so long to do this IVF! Love the new blog design! At least you are only delayed by one day hopefully, I am delayed indefinitely! Hope all looks good for you to start tomorrow! Love the new design! Sad about the extra suppression :( And annoyed for you that they wouldn't give you details. Favorite part of the new design? That the cartoon mommy has a belt full of syringes. LMAO. Classic! Your new blog design it awesome. I love the details like the specimen cups and the shots on her belt. Just perfect. Love the new design!! And good luck with your blood work tomorrow! Waiting stinks. Sorry you have to wait abother day! I love the new blog. How do you do it? I want a cute new blog. Hope everything goes smoothly love! And thank you again for my new blog look. So how often do you pick London up by the backpack on his back:) LOL Sorry you have to wait; if you need me to come help you, if London gets sick and you want someone to watch him at home I mean and he is sick when you need to go for the retrieval, call me! I mean, I probably should leave my number bc I sure as heck haven't seen a text or call from ya in who knows how long (I know...I know...it works both ways...) Love you!!!! Such a CUTE new design! I love it! There's an award for you on my blog. Oh yeah, great design! I love it! Hope everything started today without a hitch!